Re-read. I liked this volume, but not as much as I did many moons ago when I first read it. 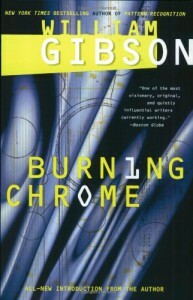 After the passage of many years, Gibson's stories seemed less revolutionary than they did before. Not because the WERE less revolutionary, but because the world and literature has changed in the intervening time. All-in-all, still a worthy collection of historical cyberpunk stories.